The KidWise Princess Party Bouncer will supply seasons of fun! At 11.8' x 12' x 8.6'H with a 96" x 117" inside bounce area, this bouncer is large enough for 4 kids (up to 400 lbs total)! 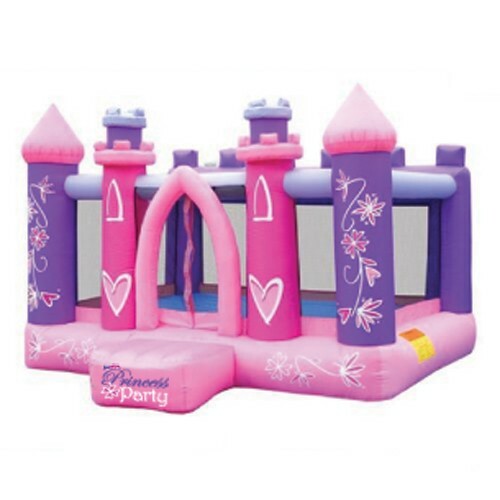 So bounce, play, and jump all day in the NEW KidWise Party Princess Bouncer! 11.8' x 12' x 8.6'H overall dimensions! For residential use only! Any commercial or public use voids warranty.